UK – A.C. Entertainment Technologies Ltd. (AC-ET) has supplied a state of the art new stage lighting rig – featuring Tourflex® Cabling custom cable assemblies – for the indigo at The O2, a live entertainment sister-venue to The O2 Arena which regularly hosts exclusive after-show performances by superstar artists, including Ed Sheeran, Coldplay and Prince. The 2,800 capacity venue has established itself as one of the Capital’s most popular settings for big events on a smaller scale, hosting live music gigs; after-show parties; sports and club nights; stand-up shows including Jimmy Carr; and TV events such as the British Comedy Awards and the Metal Hammer Golden Gods Awards. 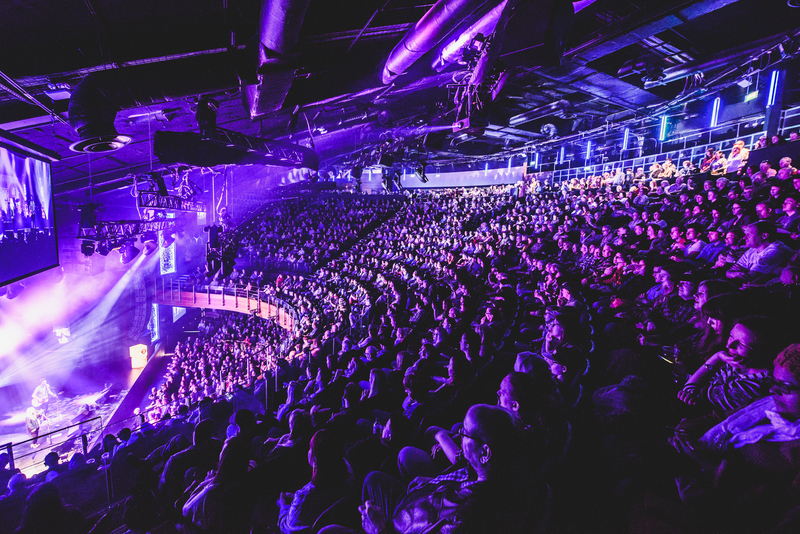 With such an impressive roster of artists using its production facilities, when the stage lighting rig was in need of an upgrade after 12 years of service, indigo at The O2’s Technical Manager, Rob Burrows needed a system which was nothing less than cutting-edge to satisfy clients’ discerning requirements. After using AC-ET for several years, Rob approached the company again to provide the complete supply of all components for the new stage lighting rig. Bob Allen in AC-ET’s UK Lighting sales team handled the project, which included assisting with the specification of over 40 products and supplying over 550 separate pieces of equipment. The powerful new 200-fixture lighting rig features some of the very latest moving head, PAR, batten, blinder, strobe and Followspot LED innovations from brands including Robe, PROLIGHTS and GLP. The control system includes two grandMA2 network processing units connected to Luminex Ethernet-to-DMX converters. The system is powered by LSC APS 12-channel advanced power distribution racks triggered by a Pharos touch panel. All power and data cabling was manufactured by AC-ET’s in-house Tourflex Cabling custom cable assembly service. The company also supplied the rigging and effects requirements, including an overhead square truss grid, modular frame assemblies, clamps, connectors, safety wires, and a haze generator. 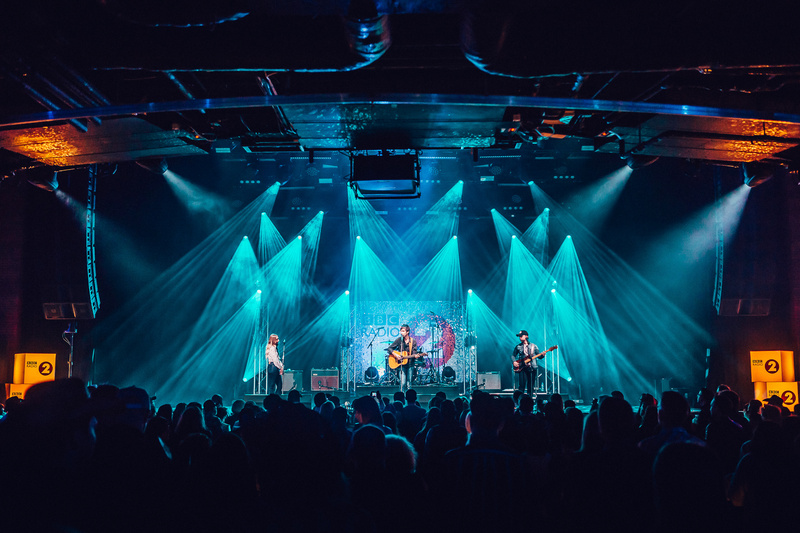 Since the lighting upgrade completed, it has helped the venue stage stunning shows for a diverse range of events, including Ed Sheeran, various BluesFest and Country 2 Country music festival artists’ performances, and the Metal Hammer Golden Gods Awards. Tourflex® Cabling is a trading name of A.C. Entertainment Technologies Ltd., whose registered office is Centauri House, Hillbottom Road, High Wycombe, Buckinghamshire, HP12 4HQ. Tourflex is a registered trademark. The rights and ownership of other trademarks are recognised. To the best of our knowledge, the information is correct at the time of publication. However, we cannot be held responsible for any errors, omissions, or changes to the specifications as part of manufacturers’ ongoing refinements to their product ranges. E&OE.